The Vintage Pearl is a handmade love story you never get tired of hearing about. Someone starts a small handmade business on the side as a creative outlet, and then it blossoms into something much bigger than they ever imagined. This particular love story is still going strong, with a beautiful product, a talented staff, and a retail store based out of Tulsa, OK. The Vintage Pearl is giving away two $50 gift certificates to a couple of lucky readers! To enter, visit their site and pick a favorite. Leave your fave in the comments here as your entry. Easy peasy! There are so many darling pieces to choose from. I have the turquoise wrapped ring and the golden tie that binds rings and I just adore them. You have until Wednesday, March 11th to enter. I'll choose a winner that evening (8pm CST) and announce shortly after. Good luck, friends!! xo. Shoot me an email at skunkboycreatures@yahoo.com to claim your prizes, friends! ***If you're looking to do a little shopping now, use the code skunk20 for 20% off your purchase until 3/15/15. I love the Kanzi collection! "no matter the miles between us keychain"- Would love to give this to my bestie in San Diego while I'm out there in April. She's having a baby in May, so I think it would be the perfect gift to let her know I'm only a phone call / plane ride away! The "love you my deer" necklace is beautiful! Love the Pearl Nest Ring! I would love the birthstone ring in my daughter's birthstone! I love the champagne briolette earrings! Love the ties that bind us or the stacking rings! I really like the Triangle Studs. I also like all of the Kanzi items, especially the Masai Paper Bead Necklace in Cobalt Blue. I've ordered from the Vintage Pearl before and they sometimes have booths set up at shows here in Little Rock. Great stuff. Awesome quality. Oh these are beautiful! I love the "tie that binds" rings, especially the silver tie one.That's probably what I'd go with. It's also great to see options both for those of us with larger families, and with larger fingers. Thank you! I LOVE the silver tie that binds ring. Wow. I adore the 'itty bitty heart stacking ring', it's gorgeous! I love the initial oval ring but also the turquoise one is gorgeous too! I LOVE the sweetheart ring- what a great site! http://thevintagepearl.com/tie-that-binds-necklace.html I love the "tie that binds necklace!" The 'tie that binds' ring is beautiful! I love the "silver tie that binds" ring. my wedding ring is gold and i always appreciate anything that has both gold and silver in it. i also like the "wrapped in faith" ring...cute and subtle. Wow, what a fantastic site! The golden tie that binds ring is lovely but the itty bitty heart stacking ring has to be my favorite. I love the chunky message ring! What a great giveaway! I love the sterling rope rings set. I have a moonstone ring and a vintage diamond promise ring and this ring set is the perfect style to tie the two other rings together! I love the itty bitty heart stacked rings, what a cute shop! might have to grab some goodies for my girlfriends! xoxo maria "little tree vintage"
I love that tie that binds ring! Thank you so much for introducing me to The Vintage Pearl! While they have so many AMAZING products, I simply adore the "no matter the miles between us keychain." I live across the country from my family and frequently get homesick. This keychain is a nice reminder that no matter the distance, they're always in my heart. I adore that turquoise ring! I love the unique, personal touch that a lot of the pieces have. I've always wanted a spoon ring and these ones are perfect! Oh wow, I think that the "ties that bind rings" are soo pretty, but then I saw the mother of pearl earrings- and I have been trying FOREVER to find a pair for my mama! We had a vintage pair that she loved, but eventually they broke.. I adore the gold ampersand necklace! I just got engaged (YAY!) and would love this to celebrate my soon-to-be new initials! This is my personal favorite! Simple, but love it. I love the Itty bitty love stack ring and the pearl nest ring! ! I love their stamped leather cuffs. Thanks for offering the giveaway! Awesome giveaway! I am in love with the golden tie that binds ring! Love the turquoise wrapped ring, so adorable! I definitely love the sweet victorian spoon ring. I love victorian things and my favorite ring I wore everyday for 2 years recently broke so I'm in the market for a new one. I really love all their personalised items ( like the little baby spoons) but my favourite is the vintage personalised baby feet pendant. It's so lovely, I think I'd wear it everyday! The tie that binds ring is a beaut! I love the vintage lowercase initial necklace! Messy Nest with Aqua eggs looks like the perfect gift to my sweet baby sister who is having her first little babe in April. I love both Tie that Binds rings and the necklace version. What a sweet shop. Obsessed with the pearl best ring and the gold-leather-pearl bracket!! Honestly I love it all!! I LOVE the chevron birthstone necklace! I might have to get one of my son's birthstone! I also love the dainty spoon ring. Beautiful jewelry! It's too hard to choose a favorite, but the family nest necklace and the classical oval spoon ring are two of my faves! So many beautiful things, but I've been loving the Love Knot Ring for months now! I have always wanted to get a spoon ring, so this would be the perfect excuse! I LOVE the rectangle stamped names. It would be perfect to have my babies names. I absolutely love the ring you're wearing too! I'm totally in love with the hometown love key chain!!! I love the hometown love keychain :) cute shop! I love the turquoise wrapped ring and the chunky bead bracelets. Gorgeous! I am so in love with that turquoise ring. I would totally wear it every day of the rest of my life! I love the Home Is Where the Heart Is Necklace. I live in Maine but I am from California, so it would be nice to have something like that. ooh, the silver tie that binds ring is totally my favorite. 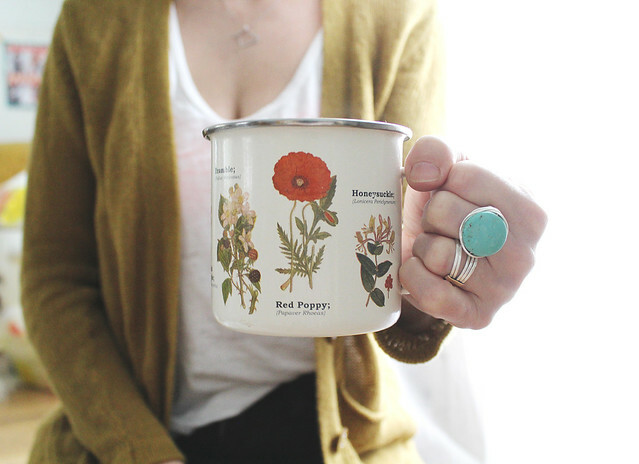 Love the dainty rose spoon ring. 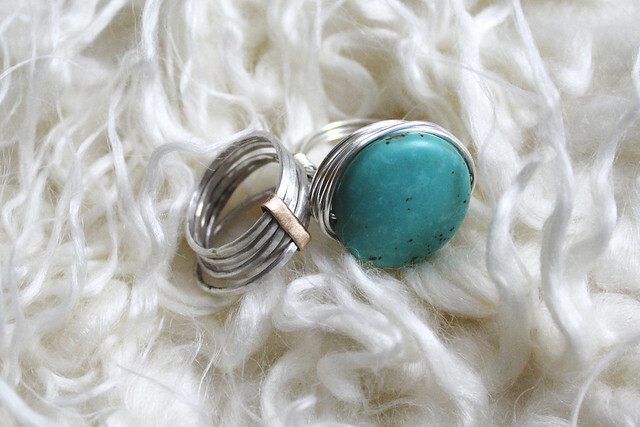 I love the turquoise wrap ring! I love the turquoise wrap ring!! love the initials rings and the silver tie that binds ring! My favorite is the harmony bracelet! Thanks for sharing such an awesome shop, I hadn't heard of them before! I love the wrapped in faith ring! I love the handstamped thin leather cuff! Beautiful work! That turquoise ring is perfect! the turquoise ring is so pretty! I love the gold tie that binds ring! I'm with everyone on the tie that binds rings.. both are quite wonderful!! LOVE the Golden Tie That Binds ring. So lovely. Thank you for doing a giveaway! The Vintage Faith necklace is lovely! I love the golden tie that binds ring and the dainty rose spoon ring! The Act, Love, Walk Necklace is one of my favorites. I love the Golden Tie That Binds :) it's beautimous & has such a sweet meaning to it. xo! I adore the home state love necklace (California)! Wow - what a beautiful site and lovely pieces! I love the silver tie that binds ring. Gorgeous! Love the "tie that binds" ring and necklace! Oh they are all so beautiful! I love the dainty rose spoon ring, but also the golden tie that binds ring, or the silver drop earrings!! They have so many cute things! I love the no matter the distance keychain. Really love the spoon bracelet! The golden tie that binds ring is simple and yet unique. My favorite ring on the site! love the golden tie that binds ring!! I love the turquoise wrapped ring! That color is amazing! The golden ties that bind ring! Love the simple, unique design. I love the Vintage Map Charm Necklace! The vintage laurel necklace has a beautiful, delicate look. I love their itty bitty heart stacking ring! So adorable! I love the turquoise wrapped ring. So pretty! I love the southern belle spoon ring! (not sure if my first comment posted...sorry if a repeat!!) I love the tie that binds ring, but the leather cuffs are also calling my name! I really love the home state necklaces. I live far from my home state and I love to feel connected to home, even when I am far away. I think that you've made the perfect choice with the 'golden tie that binds' ring- I would pick that one, too! My favorite is definitely the golden tie that binds ring! So many great things to choose from - it's hard to decide! I think I have to get the "no matter the miles between us keychain" for my mother-in-law who lives across the country from her grandkids. Tie that Binds ring! Swoon! 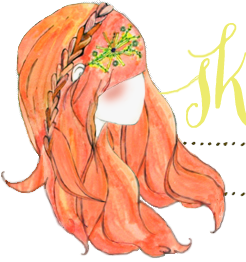 There are so many beautiful things on the site! I adore the initials on a chain necklace. I love the "gold, leather and pearl" bracelet. Her work is beautiful! The simple message ring is such a neat idea, I love that you get to personalize it! I love the dainty rose spoon ring! The whole "tie that binds" collection - necklace and rings - are fabulous! <3 Swooooooon! I love the vintage locket. I like the pea in the pod necklace. I love, love, love the pearl nest ring! It's so elegant and beautiful! Love the Thin Leather Cuff! Can be worn with so much, very versatile! Love from Australia <3 Also, not even sure if this is international, but wanted to share my appreciation for the brand regardless. golden tie that binds ring is lovely! The Golden Boho Earrings are amazing! Love the Anchor of Hope ring! It would be such a lovely gift for my sister! it's so hard to choose !! she has really lovely pieces. i guess my fav is the cuff ring. it's so unique! Gorgeous jewelry! I love the silver cuff ring and the ampersand ring! Their Masai paper bead neckalces! They are so beautiful and bright! I'm completely obsessed with the southern belle spoon ring as well as that golden tie that binds ring. So beautiful! I love the simplicity and beauty of the birthstone rings. I also love the golden boho earrings! I love the simplicity of this bracelet! Gorgeous. the morrocan initials necklace is beautiful! i also love the birthstone rings. really sweet stuff! I love all their kanzi jewelry! The colors are beautiful! I love the messy nest necklace and the golden boho earrings, but there are so many adorable pieces! Amazing pieces! I especially like the chevron birthstone necklace and the gold tie that binds ring that you have! I'm digging the stacking rings set of 3. Thanks! I love the Golden Tie That Binds ring! I adore the home is where the heart is necklace! So cute! As a ring lover this little treasure has stolen my heart! Thank you Kate for this giveaway! The Tie That Binds rings are so sweet and meaningful to me! Ooh that itty bitty heart stacking ring! thanks for this givaway! I would choose the sterling teardrops earings. such beautiful work! 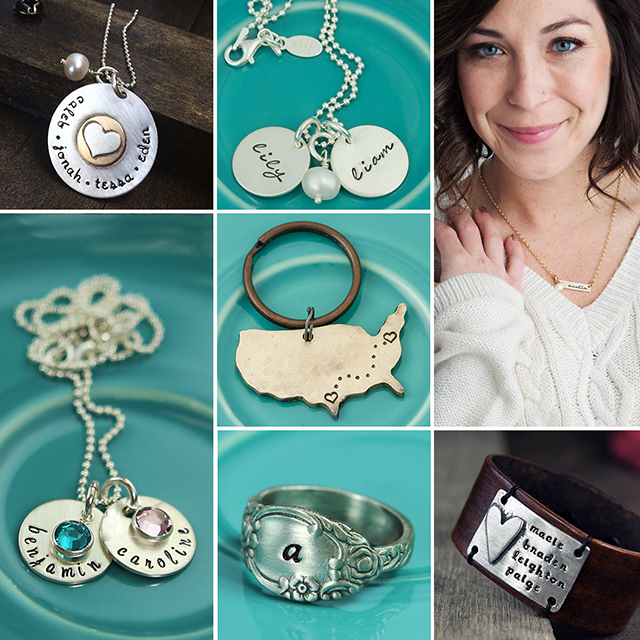 I adore the "Coordinates of your Heart" Necklace, so pretty and such a cool idea! Adore the gold bar necklace. i really like the silver ties ring, but really do dig that turquoise one! I like the silver simple circle studs, but your turquoise ring is beautiful! I love love love the golden tie that binds ring! I love the tie that binds rings and the bound by faith ring! So pretty!! the dainty rose spoon ring with my sweet son's initial. I have always wanted a spoon ring! I love the silver tie that binds ring. So beautiful! Love the turquoise wrapped ring, so adorablec and pretty! the triple strand paper bead necklace is super cool! Love the silver tie that binds ring. Beautiful! i love the turquoise ring aswell! The tie that binds ring. Beautiful shop!